When I first started programming computers as a kid in the pre-mobile, pre-web late 1970s/early 1980s, a single person typically wrote a complete software program from start to finish, and there weren’t many other layers of software between the programmer and the hardware. Using assembly language was the norm for programmers trying to squeeze more performance and space out of machines with 8-bit processors and very limited memory. Programming applications quickly evolved into a team sport with the advent of client/server computing in the late 1980s and early 1990s, and the wave of Internet computing in the late 1990s and early 2000s. Each facet of new technology was so complex that a specialist was often required, sometimes one for different tiers (e.g. front-ends, databases, application servers, etc.) Managing a business website became a specialty that included operating networking equipment, such as routers and load balancers, tweaking Java virtual machines, and using various database indexing mechanisms. Conversely, the technology to create the new generation of Web 2.0 sites became increasingly streamlined and simplified. Programmers switched from using the more complicated enterprise Java stack and databases such as Oracle to the more straightforward LAMP stack (Linux, Apache, MySQL, PHP/Python/Perl). 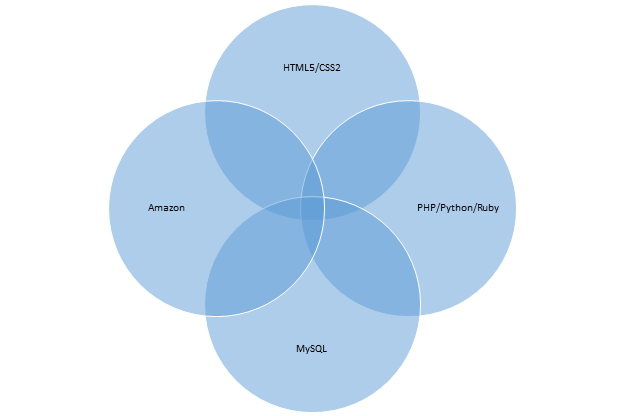 New languages and frameworks such as Django and Ruby on Rails automated the layer between the website and the database. Front-end frameworks such as jQuery helped abstract all of the intricacies between different browsers. Cloud services such as Amazon Web Services simplified deployment and provided turnkey networking. By the late 2000s, it became possible for many programmers to deliver a complete consumer or SaaS site, including a dynamic web client, server-side business logic, a scalable database, deployment, and operational support. This new breed of full-stack developer could run circles around teams of programmers attempting the same task. When projects scaled up, adding more full-stack programmers allowed a single person to add a single feature across all the tiers of an application, which accelerated feature delivery over the communication overhead of having different people own the feature in each tier. I’d wager that there are zero individuals with advanced-level knowledge in each of these areas that would be capable of single-handedly delivering this next generation kind of application. Just keeping up with the advancements and new programming interfaces in each category is almost a full-time job. In this brave new world, it is critical to have at least one person with at least a functional understanding of each of the composite parts who is also capable of connecting various tiers and working with each expert so that a feature can actually be delivered. 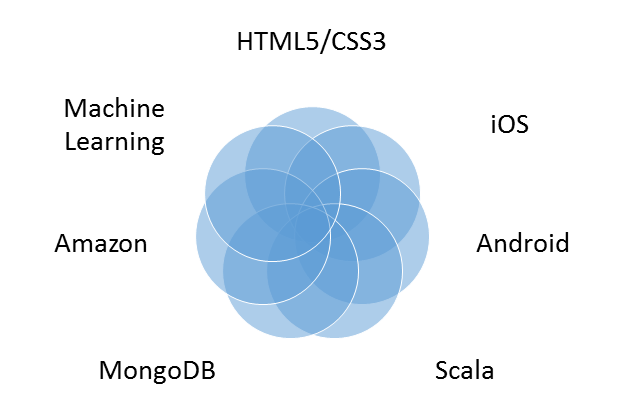 In a way, these tier-connecting, bridge-building software architects — who are likely experts in only one or a couple of tiers — are less full stack developer and much more full stack integrator. Rest in peace, full stack developers. Welcome, full stack integrators, in addition to engineers with deep technical skills in particular areas. It’s a fascinating world of software out there and we need you more than ever.